Word is spreading among Hong Kong’s art set about chic salon Duddell’s, a two-floor gallery space, restaurant and bar starring interiors by London-based designer Ilse Crawford. The Central location is hard to beat, atop fashion label Shanghai Tang’s gorgeous, flagship store. The food is a wow, with authentic Cantonese cuisine (care of chef Siu Hin Chi), vintage cocktails and a canny edit of classic old-world wines. Rotating exhibitions, curated by artists such as Chinese dissident Ai Weiwei, and screenings keep the conversation flowing, while the lush garden terrace beckons for alfresco socialising. Combining restrained elegance and laid-back comfort, Studioilse's decor offers a nod to the colonial gentlemen’s clubs of old, but updated for a more casual, contemporary scene. Surfaces are ravishing, from the grainy travertine staircase to the calming grey paint on walls. 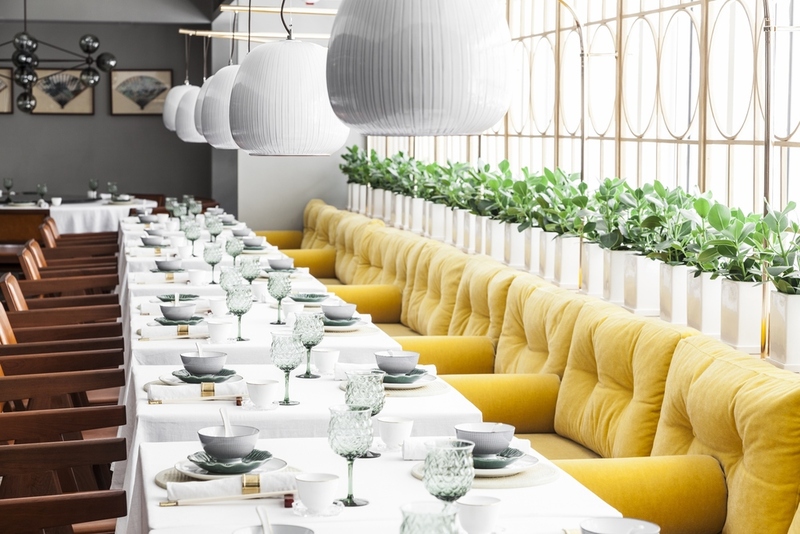 Meet pals for lunch or dinner in the third-floor dining room, where yellow velvet banquettes, ceramic ‘Gooseberry’ pendant lights by the UK’s Hand & Eye Studio and delicate Studioilse screens create a convivial atmosphere. Then peruse artworks as you ascend to the bar.